Bridge Bucket Wheel Homogenizing Reclaimer is usually used in raw material yard in steel industry etc. 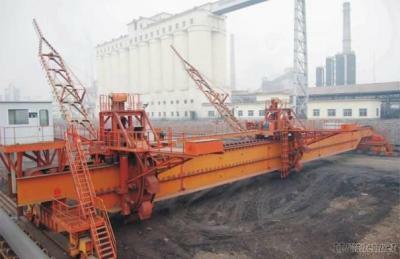 to finish the homogenized reclaiming work of coal, ore concentrate and powder ore etc bulk material. It has the characteristic of great homogenizing effect, large reclaiming capacity, high efficiency etc. Industrial Supplies, General Industrial Equipments/n.e.s., General Industrial Equipments/n.e.s.